Musically speaking, New York native, Nickodemus, is probably as open-minded as it gets. Born and raised between Queens and Long Island, Nico's household proved to be the foundation for his longstanding affair with music. "Up until the time when hip hop exploded, music in our house was always like a festivity. It was always either a party or a dance or just to celebrate good times. My parents constantly had music flooding in and out of the living room; they were listening to Motown, disco and loads of Latin music. It was always good mood." Schooled in sounds universal from an early age, it wasn't long before he discovered hip hop on the New York radio airwaves; 98.7FM with DJ Red Alert and Marley Marl were listened to and recorded, religiously, each and every week. And so began the next phase of Nico's musical development: picking up the necessary DJ skills after meticulously studying the masters' techniques on old mixtapes, utilizing the art of timing - he was also an accomplished breakdancer by this point, and then taking it to the streets, literally. Midtown Manhattan's famous club landmark, The Red Zone, was where you'd find him most weekends; not partying or getting up to the mischievous antics of most early teenagers, but, instead, painting murals for the club's drink specials and DJs coming up . "I've got my sister to thank for helping me get into that whole world. She worked the door, so she'd sneak me in and I'd get to see DJs like Kid Capri and David Morales play these amazing sets." "Back then, and even to this day, everything would influence me. I guess it'd start from going back and hearing something like a Jungle Brothers track and finding out the various parts of old tracks that they sampled - back-tracking and discovering the roots. As you'd get older you'd want to find out more about where it all came from. It'd be like hearing a phrase or a quote and then finding the whole article where it all came from." With the turn of the nineties came new sounds, new music and new production values. Heavily inspired by British acts like Coldcut and progressive labels like Ninja Tune and Mo'wax, Nico continued the parties - anywhere from warehouse raves in Brooklyn to beach parties down at Coney Island, but at the same time, expanded upon his tastes tenfold. "What gave me the inspiration was that these guys were getting sounds from the most obscure places and using them to create, with the technology that they had in their studios, a very advanced form of music that really hit me. I followed that school of thought and it took me into all new kinds of music. I'd start listening to the similarities in rhythms and honing into the soul of all the music. Anything from blues to funk to afro-beat. You'd start your journey in Africa - like with all of the classic stuff from Fela (Kuti) and it'd move into India and then the rest of the world. I guess that's what happened; I discovered music from all corners and realized anything was possible." 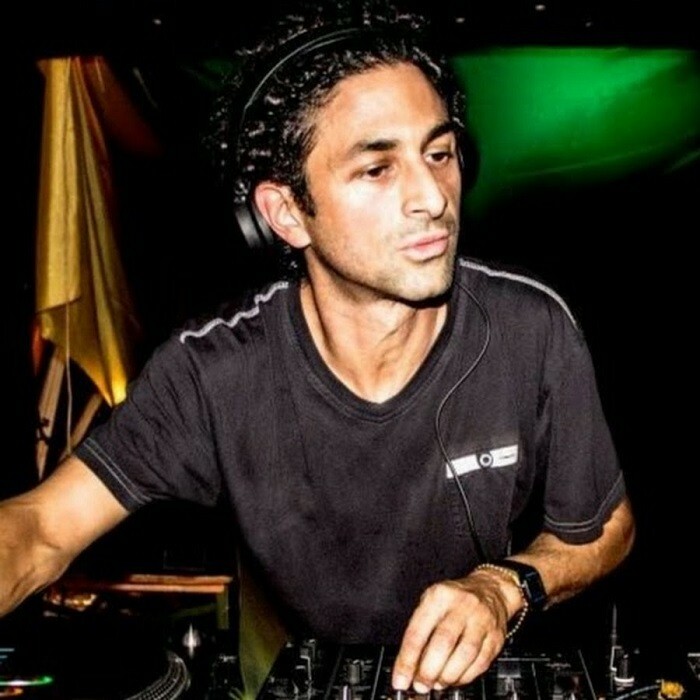 A DJ residency for the esteemed Giant Step crew gave Nico the platform upon which to develop his style and technique. Meanwhile, support slots ranging anywhere from The Pharcyde and Gil Scott-Heron to KRS-One and Pucho & The Latin Soul Brothers ensured that most nights of the week were booked up way in advance. But it wasn't until 1998 when he and like-minded musical partner, Mariano, set up shop for the weekly Turntables On The Hudson parties up at Chelsea Piers on Manhattan's west side that he came into his own. "With Turntables, we started with this one idea: music with soul from across the board that would do nothing but make people wanna dance and party. Turntables would be a place where we could play what we want and we've maintained that tight connection ever since." Now in its 14th year, the club has become a mainstay on the New York horizon with First Fridays @ CIELO & one-off select parties around NYC & the World. Equally, eight volumes of the highly-collectable 'Turntables On The Hudson' mix CDs, a host of remixes on his own record label, Wonderwheel Recordings, have turned the future bright. Meanwhile, the latest Nickodemus album, 'Moon People', set for release through ESL June 19, 2012, takes the Global story even further.